Al Ain and UAE star Omar Abdulrahman has been confirmed as ambassador and front cover star for the Middle East edition of Pro Evolution Soccer 2016 (PES 2016), the latest edition of the football game produced by Konami. Abdulrahman will appear alongside Barcelona’s Neymar and becomes the first Arab player to grace the game’s cover. This year’s offering will be released across Egypt, the GCC and Levant countries on 17th September, with a 20th anniversary edition also available. “I have played Pro Evolution Soccer since I was a child. Growing up, I never imagined that I would be on the cover one day, so I am excited to be featured on it in this year’s edition and I can’t wait to see the game in action this September,” said Abdulrahman. This year’s game will also exclusively retain its use of the AFC Champions League club competition, a further treat for gamers in Asia. It allows KONAMI to feature the AFC Champions League club competition within its many options, as an individual mode or part of the larger season overview upon qualification, including the iconic Master League mode. Bahrain, Egypt, Jordan, Kuwait, Lebanon, Oman, Qatar, Saudi Arabia and the UAE all have teams featured in PES 2016. 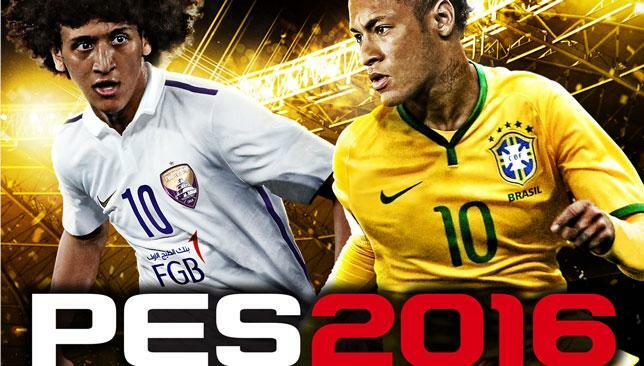 Adam Bhatti, Brand Manager for PES added: “We couldn’t be happier with the addition of Omar Abdulrahman facing the front of PES 2016 for the Middle East region. 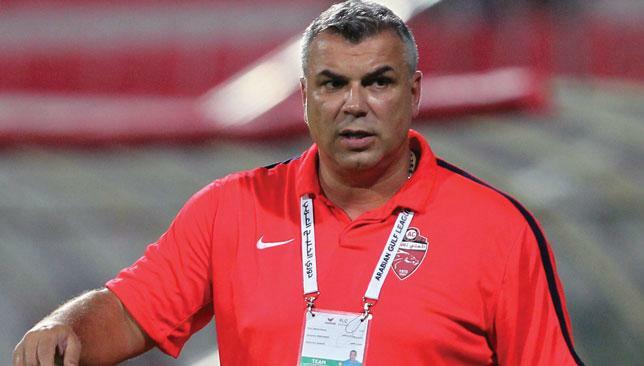 Cosmin's content with Al Ahli's latest win. The fighting spirit shown by Al Ahli’s second string will see them through their Arabian Gulf Cup challenges, according to boss Cosmin Olaroiu. The Red Knights were missing 10 players on Monday as they began their Group A campaign with a 2-0 triumph at home to Emirates Club. Although Brazilians Lima – who opened the scoring – and Everton Ribeiro were essential to victory, less-heralded players such as winger Saeed Ahmed and defensive midfielder Humaid Abbas – who also scored – laid the platform. Confirmation about the impending record-breaking €17m (Dh70m) purchase of forward Moussa Sow failed to arrive last night, despite Fenerbahce previously setting a deadline of Monday. Olaroiu did not seem flustered though and declined to heap pressure on his impending arrival, refusing to compare him to Asamoah Gyan – his star man while at Al Ain from 2011-13. The result continued the Falcons’ losing start to 2015-16, following a 2-1 Arabian Gulf League-reversal at Al Nasr last week. “In the first half, we created chances, but Ahli also had good chances,” boss Paulo Comelli said. “I did not think the foul was foul for the second goal, but we didn’t lose because of it. Lima and Everton Ribeiro were Al Ahli's stand-out players. The players missing as Al Ahli began their Arabian Gulf Cup campaign yesterday were of far greater interest than the narrow 2-0 triumph against Emirates Club. Record-breaking €17 million (Dh70m) target Moussa Sow was the talk of a punishingly-humid Rashid Stadium. But the Senegal forward was nowhere in sight 24 hours after he paid an emotional farewell to the Fenerbahce masses in Istanbul, official announcement of his impending switch still to arrive before kick-off. There was also the prospect of the 10 established stars away on international duty, robbing Red Knights boss Cosmin Olaroiu of his finest UAE players – both senior and junior – and unwanted winger Oussama Assaidi to Morocco. With the visiting Falcons minus injured attacking midfielder Brett Holman, this run out in the domestic’s game third-most important competition felt distinctly second rate. But there were still sprinklings of star dust to be found, summer buy Lima continuing to look a sound addition as he artfully volleyed home his fourth goal in three competitive appearances on 41 minutes to light up a match which will not live long in the collective memory. The €7m (Dh28.4m) purchase from Benfica and countryman Everton Ribeiro looked like they were playing a different sport for much of the contest. Their inter-play and understanding delighted, a linesman’s flag and some wayward finishing preventing them making the margin of victory wider prior to defensive midfielder Humaid Abbas’ 90th-minute rebound. This was a comedown from the 8-1 Arabian Gulf League-opener against Fujairah and 1-0 AFC Champions League quarter-final, first leg at Naft Tehran. But that is what the AG Cup does. Throw Sow – a player given a hero’s send-off at Sukru Saracoglu Stadium on Sunday after 52 goals in 107 appearances plus two Super Lig titles since January 2012 – into this mix and a repeat of the disappointment witnessed at Ahli in 2014/15 seems impossible. Emirates barely got a kick all night, one darting run from Brazilian forward Rodrigo Pimpao on 20 minutes ending with a disappointing lashed finish. Playmaker Ribeiro had already repeated a similar act by that point in the other half. The goal when it came was delightful. A swift counter-attack lead to a pin-point cross from returning UAE full-back Abdelaziz Sanqour, his centre being gleefully sidefooted in by the on-rushing Lima. The second half meandered by, Lima being correctly flagged offside when his early header crept in and Pimpao fizzing a late effort from 20 yards wide of the post. All hope of an unlikely equaliser died in injury time, midfielder Nawaf Mubarak’s free-kick being pushed onto the crossbar but not away from the waiting Abbas to head home.